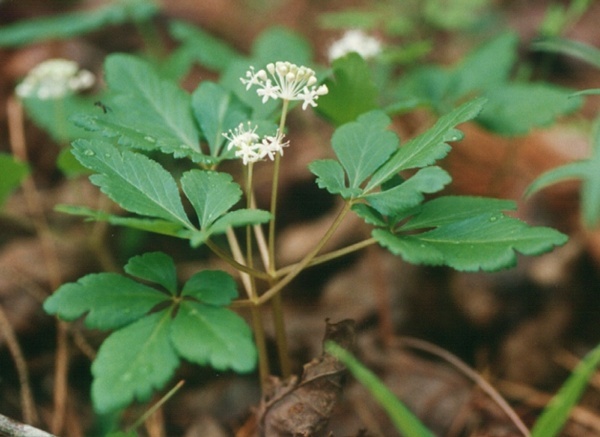 varieties in Ontario are American ginseng (Panax quinquefolius) and Dwarf ginseng (Panax trifolius). grows moist, rich wooded areas. warning: eat in moderation. Large amounts can increase blood pressure and cause headaches.